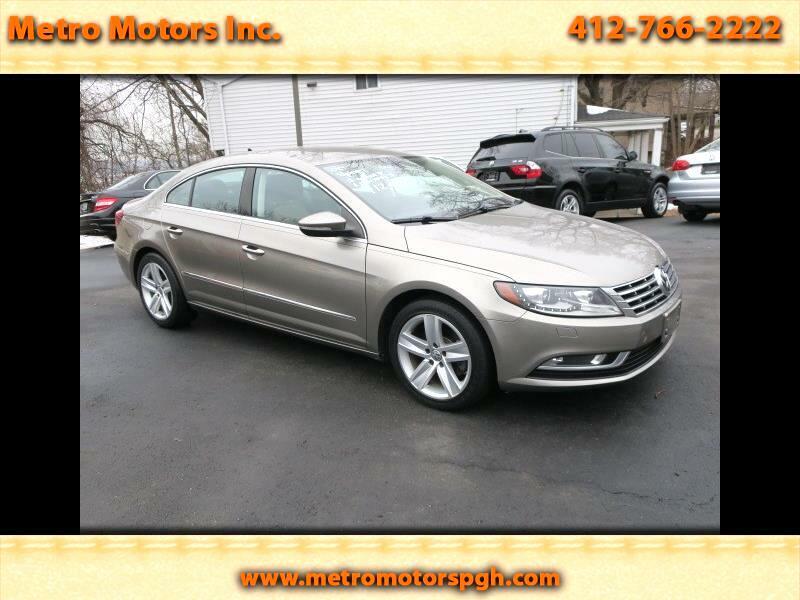 Used 2013 Volkswagen CC Sport Plus for Sale in Pittsburgh PA 15202 Metro Motors Inc.
Beautiful 1-Owner 2013 Volkswagen CC Sport Edition. 39,345 Certified Miles!! The CC has a Unique Coupe Look Design that is a Sedan! Finished in awesome Island Gray Pearl, 2-Tone Creme and Black Leather Interior. Power, Heated Seats. Turbo Charged 2.0 Liter Twin Cam making 225 H.P.!! Shiftable Automatic Transmission. Traction and Stability Controls. Climate Control. Premium Sound w/Satellite Radio, MP3 Connection with memory Card Reader. Tilt & Telescopic Leather Steering Wheel. Xenon Automatic Headlamps. Automatic Rain Sensing Wiper System. 17 Inch Alloy Sport Wheels on Brand New Tires!! All original Books, Manuals, and Key Fobs. This car looks Like New Inside and Out!! Clean Auto Check History Report showing, 1-Owner, with No Accidents or Issues!! Safe, Reliable, and Very Economical, Yet has Awesome Performance!! OUR CARS ARE HAND PICKED, PRISTINE, SERVICED AND DETAILED, SINCE 1982! CALL 412-766-2222 NOW AND SPEAK TO ROBERT!! VISIT US AT www.metromotorspgh.com. MOST CARS QUALIFY FOR 1-3 YR/45,000 MILE OPTIONAL WARRANTY! We try to list all cars with the best information that we have available, however typo's do sometime exist!